Now out! 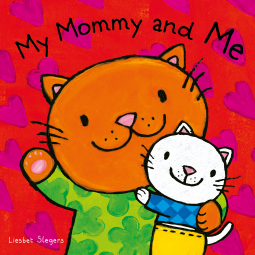 My Mommy and Me (Slegers) – Joyce's mystery and fiction book reviews with some non-fiction too! This picture book for toddlers has very bright, appealing and cheerful illustrations. The simple text describes activities that moms and their children enjoy together. I had an e-galley so no flaps, but the real book has them to lift and I am sure that makes this one even more fun. Thanks to the publisher and NetGalley. The opinions are my own.